“Oh, King, eh, very nice. And how d’you get that, eh? By exploiting the workers! By ‘anging on to outdated imperialist dogma which perpetuates the economic and social differences in our society.” -Dennis, the constitutional peasant, Monty Python and the Holy Grail. In the above quote from Monty Python’s classic comedy, Dennis berates King Arthur for his alleged systematic oppression of the proletariat, but, at the same time, raising the question of what makes a good political leader. What lessons could Arthur learn about how to properly govern his subjects, even those who think they are part of an anarcho-syndicalist collective? The fictional Arthur, living in 963, according to the film, could actually take advice from someone who lived roughly a hundred years before him in real life: Alfred of Wessex. 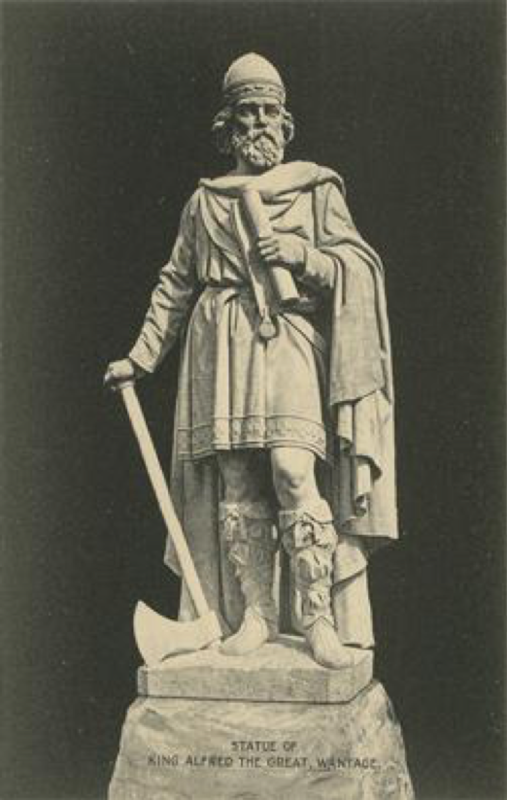 During his reign, King Alfred embarked on a massive venture of translating Latin texts into Old English, “so that he could / send them to his bishops, because some of them /who knew very little Latin needed it” (Alfred, Verse Prologue to the Old English Pastoral Care, 14-16). 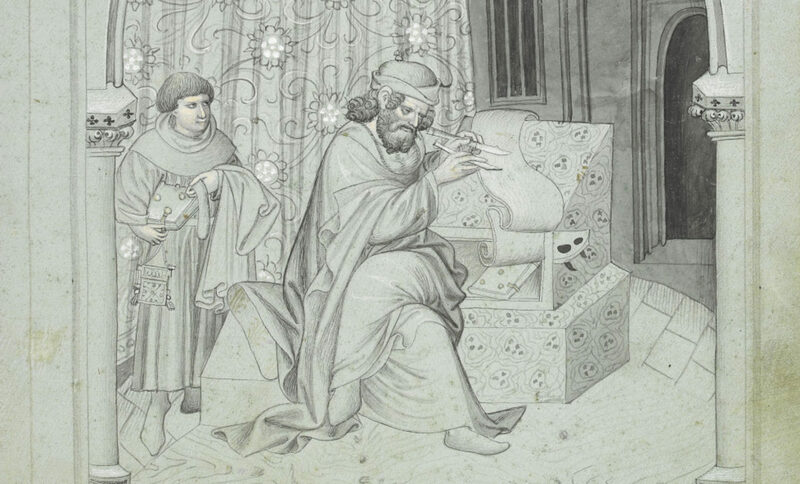 As a part of his translation efforts, Alfred translated Boethius’ Consolation of Philosophy, albeit, his definition of translation was understood much more loosely than our standards of translation today. Rather than simply translate Boethius’ work word for word, Alfred instead opted to insert his own thoughts and ideas into the text, modifying and editing it in accord with his own, Anglo-Saxon worldview. Among the many topics Alfred discusses in his own rendition of Boethius’ summary of Late Roman philosophy is what a king must do in order to govern effectively. First and foremost, he must have the right materials because these will enable the king to exercise his skill of ruling. Regardless of whether he had good skills at ruling or not, his effort would be wasted if he did not have people to rule. Wisdom, the literary Boethius’ allegorical interlocutor, instructs him that a king would need three types of people in order for a kingdom to be run effectively, namely, “prayer men and army men and workmen” (Alfred, P9.2). Furthermore, he must see that they have the supplies to attend to their needs. In order to govern effectively, a king needs all three of these, but how well does Monty Python’s fictionalized Arthur stack up? Indeed, pretty well as he has members of these three estates on his quest with him. In terms of prayer men, he has Friar Lawrence and his companions, who furnish him with the Holy Hand Grenade of Antioch. Likewise, the first part of the film is spent collecting his group of army men. Lastly, in the form of his servant, Patsy, he has a workman under his command. However, it must be pointed out that the scene in which Dennis accuses Arthur of tyranny occurs so early in the movie that Arthur really hasn’t collected anyone other than Patsy to his traveling court. No wonder Dennis accuses him of poor governance; he doesn’t have all the tools needed to rule! But what about once he has the full court assembled? Again, Alfred’s Boethius suggests that in order for a king to rule properly, he must not only have the necessary tools, but also supply them in order to enable his men to function (Alfred, P9.2). In this respect, Arthur is not able to maintain his expanded traveling party, as, in the midst of a harsh winter, the narrator depicts Arthur and his knights as having to eat Sir Robin’s minstrels in order to survive. While they don’t strictly fall into one of the three outlined categories, this nevertheless reflects poorly on Arthur. Furthermore, his absentee, traveling kingship, going so far as to dismiss the center of government as “a silly place” does not indicate that he could rule effectively. Indeed, the peasants didn’t know they actually had a king. They thought they were an anarcho-syndicalist collective. Gilliam, Terry., Jones, Terry, Forstater, Mark, Cleese, John, Chapman, Graham, Idle, Eric, and Palin, Michael. Monty Python and the Holy Grail. Burbank, CA: Columbia TriStar Home Video, 1998. Irvine, Susan, Boethius, and Godden, Malcolm. The Old English Boethius : With Verse Prologues and Epilogues Associated with King Alfred. Dumbarton Oaks Medieval Library ; 19. Cambridge, Mass. : Harvard University Press, 2012.
unknown (publisher, British). ca. 1907-1914 (publication date). Statue of King Alfred the Great, Wantage. ; verso: [divided back, no message], overall, recto. Picture postcard. Place: Trinity College, Watkinson Library (Hartford, Connecticut, USA). http://library.artstor.org.proxy.library.nd.edu/asset/SS35428_35428_24881292.